The next expedition to leave Spain, after the trip by Alonso de Ojeda, was under the command of Rodrigo de Bastidas, a wealthy notary of Triana, a suburb of Sevilla. He was a man of position and well educated, very different in nature than the explorers that preceded him and would come after him. On the 5th of June, 1500, he was able to secure a license from the Spanish Crown. This license allowed him to outfit two ships, at his own cost and risk and cross the Ocean Sea to discover island or lands not previously discovered by the Admiral Don Cristóbal Colón, or any other explorer that followed him (Niño and Guerra) or belonging to the king of Portugal. It granting him the right to secure in the new world all Treasures he could find. The charter, which is still preserved in the Archivo de Inidas, allowed him to acquire gold, silver, copper, lead, tin, quicksilver (Mercury), and any other metal whatever; and aljófar, pearls, precious stones, and jewels; and slaves, Negroes and mixed breeds; and monsters, serpents, fishes, and birds; and spices and drugs, and every other thing of whatsoever name or quality or value it might be). After deducting the cost of outfitting the ships and crew, he was to give the king one-forth of the net profits, and keep for himself, three-forth of the profits. Bastidas was familiar with the New World, since he had accompanied the Admiral, Don Cristóbal Colón on his second voyage, and also with Alonso de Ojeda, on his first voyage. He was the first to reach the coast of Rio Hacha and Santa Marta, where he found that the natives wore crowns, causing him to name them "los indios coronados". He would later return to build a city there on July 29, 1526. He discovered the mouth of a large river, which he named Rio Magdalena in March, 1501. They landed in Galerazamba, and the explored the bay where the city of Cartagena would later be built. He named the bay, and Juan de la Cosa suggested that they build a city there. He continued sailing west to the island of Baru, the islets called Arenas, and the San Bernardo island group. At the small island of Fuerte, the natives made a very fine salt, which the Spaniards liked. This island was in front of Caparoto and the mouth of the Cenu River. Continuing to the west and south, they arrived at the island of Tortuga, so named for the many turtles they found on it. Continuing west, they arrived at a place where the coast turned sharply to the south, at a place now known as Punta Caribana. When they turned south, they were able to see the rocky islets on the opposite coast, near where the future town of Darien would be located. 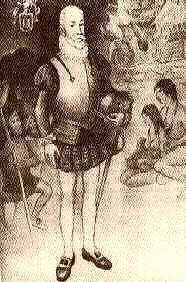 Juan de la Cosa, thought that they had found the passage, through Tierra Firm to India, when they entered into the bay. When they anchored at a place, were the water was only four fathoms deep, they found it to be fresh water, not sea water, making them realize that they were in a bay, not passage across Tierra Firme. The water was so sweet (fresh) that they named the bay, Golfo Dulce, later to be called the Gulf of Urabá or Darien. Exploring the coast line of the gulf, they saw the mouth of the Atrato River on the western side of the gulf, and continued north. After exploring the Gulf of Urabá, he sailed northwest into the Gulf of Darien along the coast of present day Panamá. Sailing around Cabo Tiburon, they resumed their exploration, heading west. This area is now called the "Comarc de Kuna Yala". He sailed along the northern coast as far as El Retrete (Bastimentos), perhaps even as far as the site of Nombre de Dios, and possible as far as Porto Bello. Along the coast, they continued trading with the natives and familiarized themselves with the terrain and natives. There is a port that he named, El Escribano, on the coast of Panama. To Bastidas, (as well as Juan de las Cosa and Vasco Nuñez de Balboa, and all the other members of the crew) goes the credit of the discovery of Panamá in 1501. When Columbus, sailing from the western coast of Central America, past this area( Nombre de Diós), he learned from the natives, that Spaniards had been there the year before. The two ships that made up the fleet, had begun to leak as the hull was being eaten away by the boring sea worms, called broma or torpedo (teredo navalis). These worms would attack all wooden ships in the warm waters of the Caribbean. Due to the bad condition of his ships, Bastidas decided to sail back to Española from Panama. Turning north, they assumed that they would reach Española; but, the prevailing winds and currents, took them to Jamaica. This island had not yet been settled by the Spaniards, so they took on a supply of wood and fresh water. After leaving Jamaica, they headed for Española; but, the ships were leaking so badly, that they had to stop at the island of Contramaestre, to make emergency repairs. Once repairs were made, the continued on there trip and had not gone far, when they were hit by a storm, and had to return to the island of Contramaestre for refuge. Once the storm passed, they continued again; but now, the ships were really leaking very badly and they had all available hands manning the pumps and bailing water full time. Knowing that they would not make it to Santo Domingo, De la Cosa, set course to the port of Jaragua, in the southwest corner of Española, now part of Haiti. Arriving on the coast in 1502, his ships proceeded to sink, before they were able to unload their cargo. The native captives, that had been collected as slaves, had all been chained together, and went down with the ships. The survivors were able to save a large portion of the gold and pearls that they had acquired along the way. All of the extra arms and weapons, were destroyed, to prevent them from falling into the hands of the natives. On land, Bastidas divided the survivors into three groups, gave them some of the treasures, so that they could purchase food along the way. He had each group head to the new city of Santo Domingo, by separate ways, to insure that they would have no problem getting the food necessary to survive the trip. In Santo Domingo, he was imprisoned by Francisco de Bobadilla, the governor of Española and the same person that had imprisoned Columbus, and sent back to Spain in chains. Bastidas was charged with illegally trading with the natives without a license, and his original commision only allowed him to trade in the lands that he would discover. Although he insisted that the only thing he had traded for on Española was for the purchase of food, guides and transportation to Santo Domingo, Bobadilla, saw this as a way to enrich himself, at the expense of others. All of Bastidas' treasures were confiscated, and he was put in prison, until he could be sent to Spain, for trail. 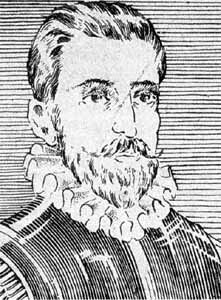 On April 15, 1502, Nicolás de Ovando, the new governor of Española, arrived in Santo Domingo, to replace Bobadilla. On the 29th of June, Christopher Columbus, arrived off the coast of Santo Domingo, on his fourth voyage of exploration. He requested permission to enter the Ozama River, to seek shelter from a coming storm. Due the nature of the problem with Columbus, the King of Spain, and Española, Ovando denied Columbus's request. Columbus was thus denied refuge on the island he had discovered and settled, and was forced to find shelter from the storm, else where. At this time, there was a large fleet that was preparing to head back to Spain. This was the fleet that had brought the new governor to Española, along with many settlers to the new colony. Columbus then sent word to the new governor, that a hurricane was eminent, and not to send the fleet out, but keep them in harbor, for their protection. The governor, the ship captains and pilots, all made fun of the old Admiral's predictions, and set sail, anyway, on June 30, 1502. The following day, they were hit with the full force of the hurricane, and more than twenty ships were lost. Over five hundred people perished, including a large group of natives, that were being taken to Spain as slaves. The ex-governor, Bobadilla, Francisco Roldán, and others, that were enemies of Columbus, also lost their lives in the storm. The king's share of all the gold, as well as a large amount owned by private individuals was also lost (over 200,000 castellanos). 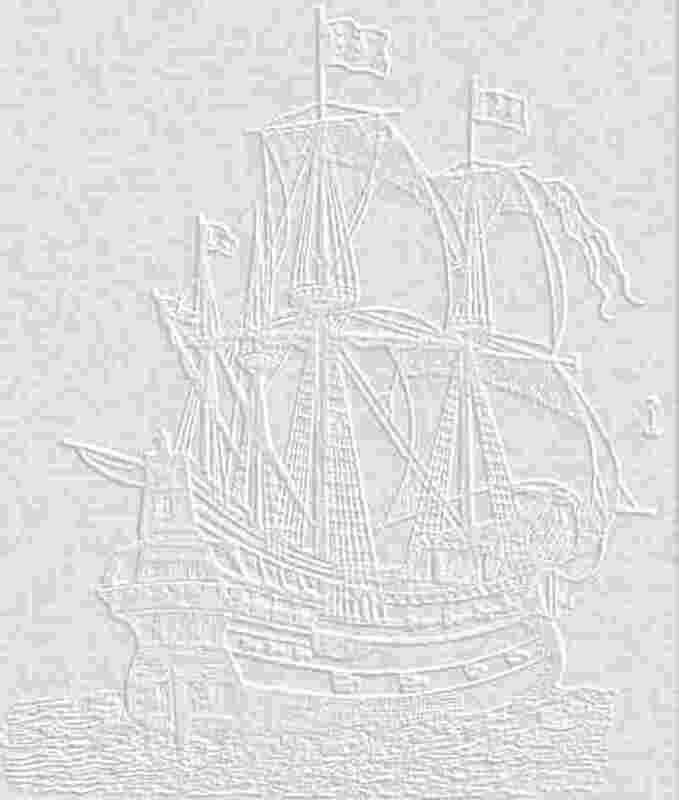 One of the ships, the Aguja, made it out of the storm, and continued on to Spain. On board this ship, was four thousand pesos de oro, belonging to Columbus. Rodrigo de Bastidas was on another one of the ship that survived the hurricane, along with his gold and pearls. In Spain he was acquitted by the Crown in 1503, and he paid a large share of this treasures to the government. He was ordered to return to his home, and display his share of the gold and pearls, three chests full, in all of the towns he passed to demonstrate to the populace that there was money to be had in the Indies. Bastidas and de la Cosa, were each awarded and annual pension of 50,000 maravedis for their discoveries, and was given the title of Governor, properties, and royalties for the land he discovered. Bastidas, was so enchanted with the Indies, that he took his wife and children back to Santo Domingo. There he became a cattle rancher, with at one time, having as many as 8,000 heads. In 1504 he returned to Tierra Firme in two ships and captured 600 natives to be sold as slaves in Española. In 1520, Emperor Charles gave Bastidas the title of Adelantado of Trinidad, but Diego Colon protested since that island belonged to him, since it was discovered by his father, Christopher Columbus, and it was part of his inheritance. Because of Diego's objection, he turned down the offer, and Charles granted him the title of Adelantado and charter to settle all of the land between Cabo de la Vela to the Rio Grande de la Magdalena, the following year. In 1524 the expedition left Santo Domingo with 5 caravels and 450 settlers, many of them were married. He returned to Columbia to settle, with assorted livestock, seeds, slaves, men and women (one third of his colonist were women) and lime and bricks. Some of the settlers were men that were seeking their fortune in the Indies, but most were settlers. On July 29, 1524 they sailed into a harbor within his domain, and started to build a town, which he named "Santa Marta", in honor of the patron saint for that date. He established friendly relations with the natives in the vicinity and ordered his men to treat the natives fairly and with respect. During his exploration of the area, they found a native village, Tarbo, about 20 leagues, that contained a gold smelter, and he would not let his men take anything from the village. The Cazique Taybo, gave the Spaniards 600 pesos in gold, and Bastidas decided not to share it with his men, but to use it to defray the expenses of the colony. 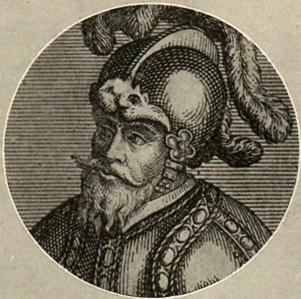 This angered the Spaniards, and one of his lieutenants, Pedro de Villafuerte, entered in to a conspiracy, along with about 50 others to kill Bastidas. They attacked Bastidas one night, and stabbed him five times, while he was sleeping, but they failed to kill him. His yelling brought other members of his expedition to his aid, and the assassins escaped into the jungle. They were eventually all captured and hung. Some tried to escape to Española, and were also captured and hung. Since the colony did not have a surgeon, and Bastidas was having trouble with his wounds, he decided to return to Santo Domingo for medical care. He set sail for Santo Domingo, and became worse during the voyage. Due to the currents and trade winds, they landed in the port of Santiago on the island of Fernandian (the name given to Cuba at that time). He was given the Catholic Sacraments, before he died there, and was buried in the cathedral. Later, his son transferred the body to Santo Domingo, where he is still interred in the cathedral.